Heavy duty inline bearing wheel system: save your strength for catching waves! 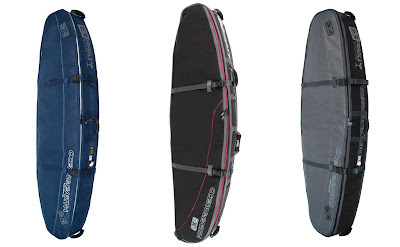 3 Surfboard Travel Coffin - 23" wide and 5.5" thick"
4 Surfboard Travel Coffin - 23" wide and 7" thick"
4 Surfboard Travel Coffin Wheels - 22.5" wide and 7" thick"
5 Surfboard Travel Coffin - 23" wide and 10.6" thick"
Sometimes you're looking to boost the protection in your surfboard travel bag with some add on padding. 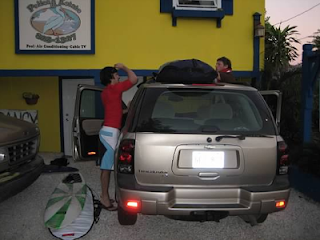 Clothes and towels work well, but there's also surfboard rail protectors and foam nose and tail guards designed to protect your surfboards during travel.